#1032 In every instance, the goal is to spur the Christian believer to a deeper personal relationship with God through prayer. Few topics are as talked about, yet practiced so little, as prayer. It is said to be at the heart of the Christian faith. And yet, even the most ardent, devoted followers of the Lord Jesus Christ, if truthful, would have to admit that they have neglected prayer. 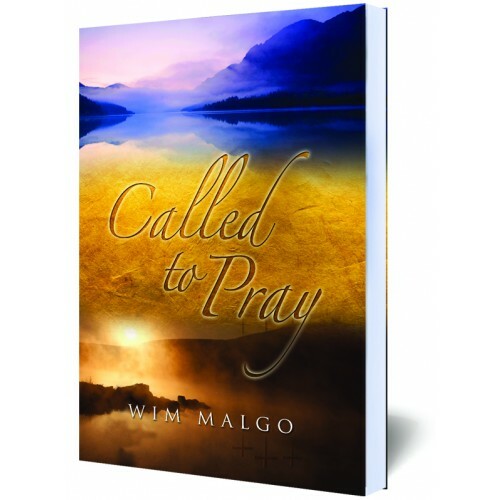 In this classic book by Midnight Call founder Dr. Wim Malgo, we are given ample reason to examine ourselves. Why is prayer important? How do we effectively pray not only for ourselves and our families, but for the rest of the things that concern us? Thankfully, in this book, Dr. Malgo has given us clear Biblical direction. Taking examples directly from the Scripture, he shows us the victory achieved through prayer and the failure from a lack of it. In every instance, the goal is to spur the Christian believer to a deeper personal relationship with God through prayer. We believe that the message of this book will encourage you and give you clear instruction on improving this vital part of your Christian faith. Then, perhaps the best thing you could do would be to share the blessing with someone else, for everyone can use the message of Called to Pray!